I'm going to bake the Blueberry Cheese Cake☻ and I baked this vanilla sponge cake for the cheese cake base. Since the recipe require only about 10cm thick base. I cut the sponge cake I baked into half and saved the other half for my Blueberry Cheese Cake base. Pour (A) into the mixing bowl. Add (B) and mix into the batter. Whip the batter till light and fluffy. Mix (C) with the batter till well blended. Pour it into a 8" square mould. Bake at 180c for 30 minutes. Leave to cold before cut them into 3 layers. 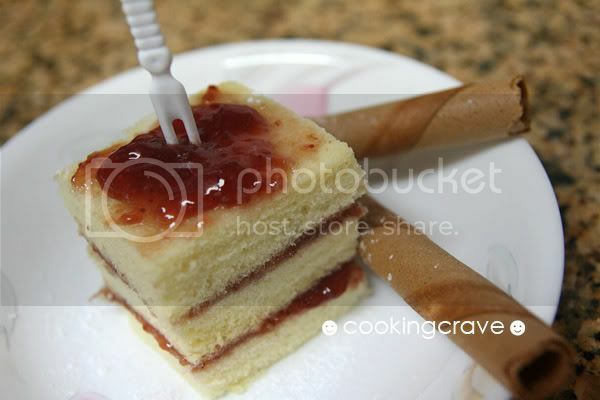 Spread the strawberry jam on each layer before cut them into pieces. 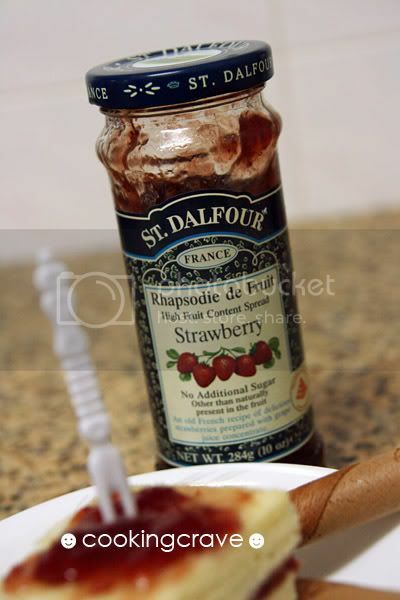 My fav St. Dalfour Strawberry Jam - no additional sugar and preservatives. wah tintin....this is ur cooking blogsite...and u cook all this....wow...i am impressed! wei.... lao nuar liao!!! LOL!! 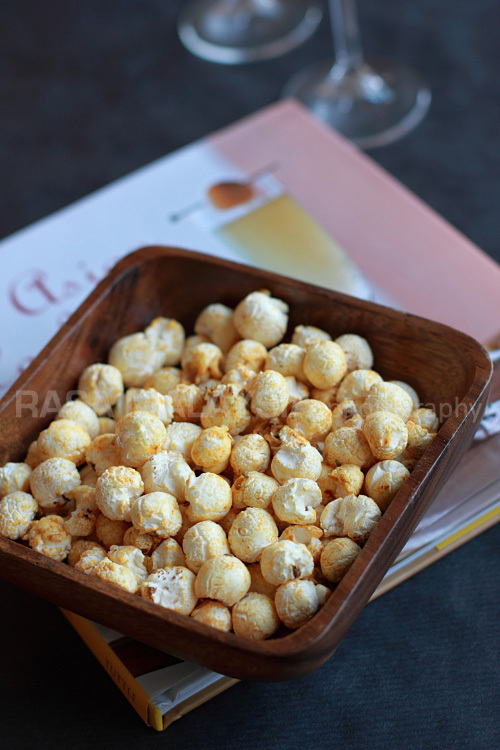 giggle: I also lao nuar when looking at your mini cheese cake lei!